I have cheesy pasta things to share today! 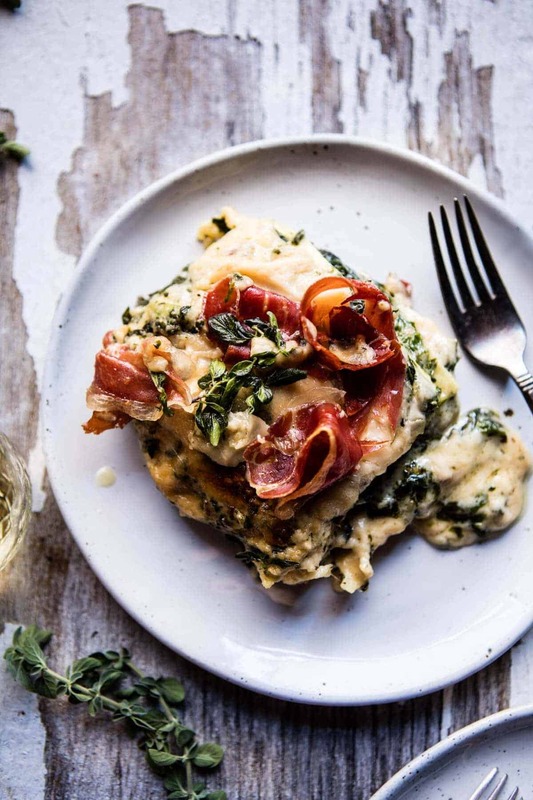 crispy prosciutto cheesy white lasagna from Half Baked Harvest on Vimeo. Because really, who doesn’t need cheese filled lasagna on the Monday after Thanksgiving? It’s clearly just the right thing to do. After a whirlwind weekend, I think we could use a meal like this to help ease us back into the work week. Plus, there’s some spinach involved, so I mean it’s kind salad…ish? But guys let’s talk about our Thanksgiving weekends, how was everyone’s? Mine was pretty awesome. No major drama to report, good food was had, family stories were shared, and the house is now decked out with Christmas! Thanksgiving day was spent cooking up a storm, celebrating my brother Kai’s, 21st birthday and making a heck of a lot of cocktails. Finished the night off with about ten minutes of a Christmas movie before my eyes gave in and I went to bed at the earliest hour I have in months, YES! Friday was spent doing zero black Friday shopping, instead I was back in the kitchen cooking and photographing. I have a crazy month ahead, but despite my slightly overwhelming to do list, I am surprisingly, not too stressed and more just excited for Christmas time to finally be here. Other highlights of the long weekend include decorating the Christmas tree, watching Home Alone while putting together these Cookie Decorating Kits and listening to all the Christmas music! Oh, and it’s been snowing since Sunday and I could not be happier about it! 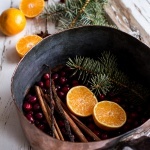 I’ve already shared not one, not two, but three Christmas inspired posts and there are SO many more to come. Dying to know what you guys are excited about this holiday season. Any recipes you’d love to see? Homemade crafts? What? Let me know! 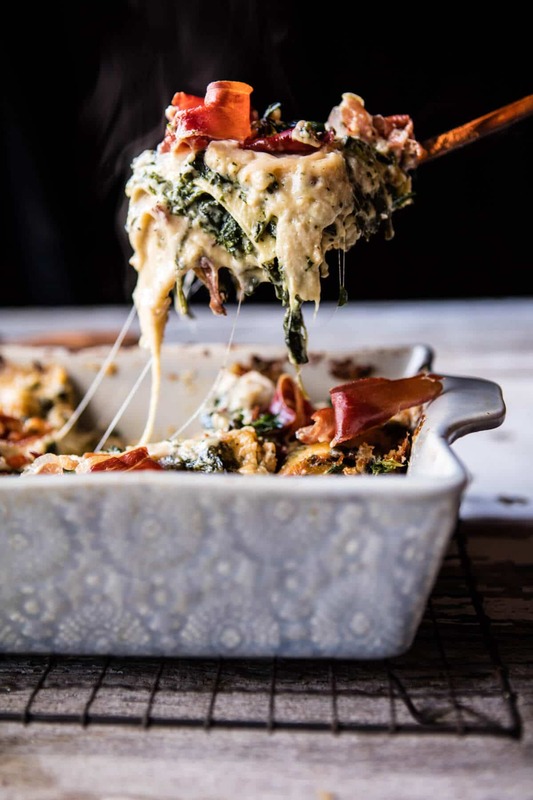 While your brains are all thinking upon Christmas recipes and things you might want to see on the blog this season, let me tell you all about this here crispy prosciutto cheesy white lasagna. 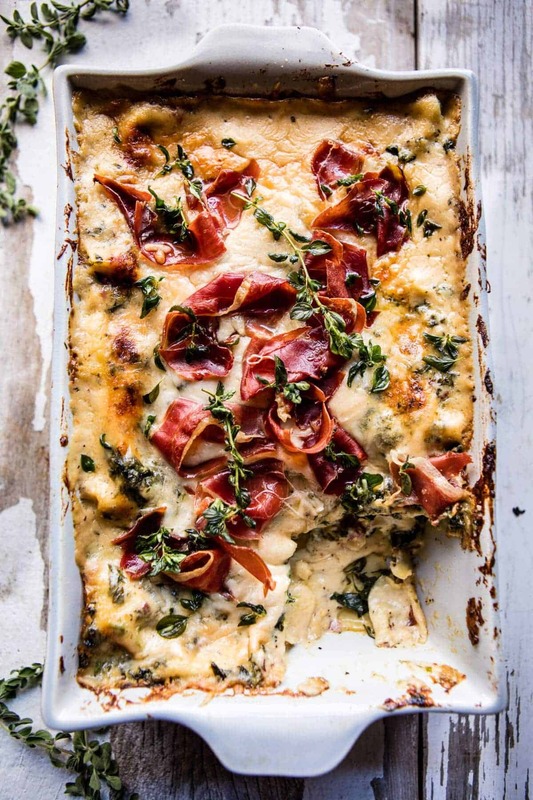 It’s one of my favorite white lasagnas, probably because of all that crispy prosciutto on top…okok and of course all the CHEESE. 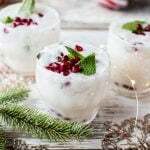 This is beyond delicious and I could not think of a better recipe to kind of kick off my holiday inspired entertaining recipes. Whenever I think of December dinners/recipes, I always think of lasagna. This traditional one is typically my go-to, but when my family comes into town for Christmas, there are so many people in the house that I typically need to make two. So I make one meaty lasagna and one white lasagna. While I keep the meat one very classic, I always have fun with the white. Since the boys only care about the meat lasagna, I don’t have to worry about what “weird” ingredients go into the cheesy white lasagna. So while every year the way I make this slightly different, I’m currently loving this year’s version. 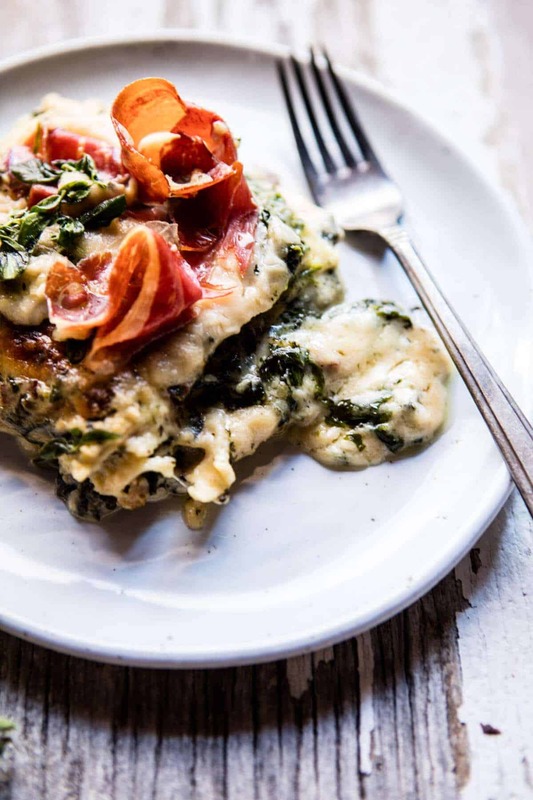 It’s extra, extra cheesy, filled with a creamy Béchamel sauce and layered with spinach, ricotta, provolone, and then topped with prosciutto just before baking, which allows it to get nice and crispy in the oven. Perfection. Of course, if you’re a vegetarian, you can leave the prosciutto off, but if you don’t mind a little ham, please, please, do not skip this part. It adds a saltiness that pairs really nicely with the sharp cheeses, and of course, the crispness adds another layer of awesome texture…which you guys know I love! The rest is pretty simple and straight forward. I used no-boil pasta noodles to keep the recipe quick and easy, but if you can only find regular lasagna noodles, those will work great too. Just cook them according to the package directions and bake as directed according to the recipe. And with that I think I am going to close out this post! Hoping this lasagna is the perfect start to your week! I know it can be hard getting back into the grind after Thanksgiving weekend, but cheese and pasta make everything better. Or at least they do in my house anyway! A crowd pleasing lasagna that is full of flavor! Melt the butter in a medium sauce pan. Add the garlic, basil, oregano, salt, and pepper and cook 30 seconds or until fragrant. Whisk in the flour and cook for about 1 minute. Slowly add the milk and broth. Bring to a boil and stir for 1 minute. Remove from heat and stir in the mozzarella cheese and 1/2 cup of parmesan cheese. Stir until the cheese is fully melted and the sauce is smooth. Set the cheese sauce aside. 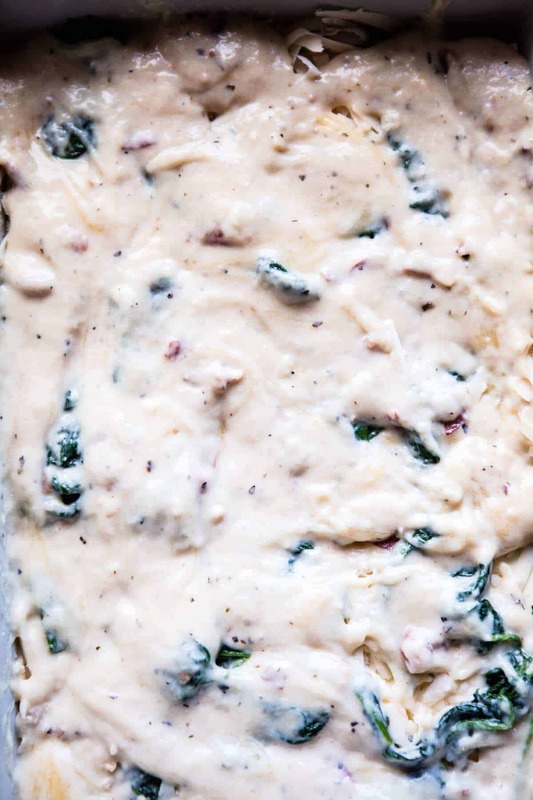 In a medium bowl combine the ricotta, provolone and spinach. Spread 1/4 of the cheese sauce in the bottom of the prepared baking dish. Top with 3-4 lasagna sheets. Spread with 1/2 the ricotta cheese mixture and then another 1/4 of the cheese sauce. Place another 3-4 lasagna noodles on top and then top with the remaining ricotta cheese mixture and another 1/4 of the cheese sauce. Add the remaining lasagna noodles and pour the remaining cheese sauce over top. Top with a 1/2 cup of parmesan cheese. 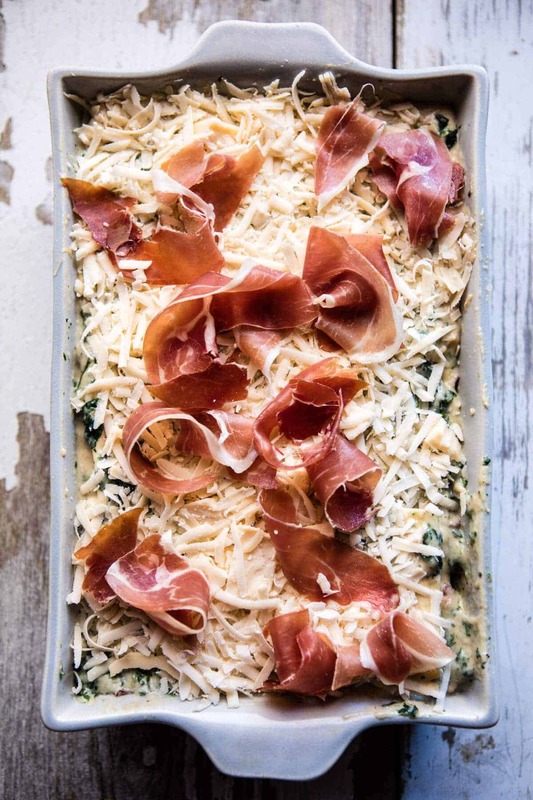 Arrange the prosciutto on top. Bake uncovered for 45 minutes or until the top has bubbled up and browned a bit. Let stand 20 minutes before serving. For real though, how could you not LOVE this plate full of all the good things in the world. Gimme. Looks incredible! Yes I agree lasagne is the ultimate comfort food! Ah its so goood! Glad you like it Rhian! Thanks!!! I completely agree, cheese is just the right thing to do today!!! This lasagna looks killer, Tighan! I seriously need some. You so have to try this one girl!! You’ll love it!! You are great as usual ! Thank you for the” vegetables idea” ! Have a fruitful and pleasant week ! I actually have no words. NO words. This looks… omg this looks soooooooooooo good I’m drooling here! ANd I just had breakfast!! This looks incredible! Spinach isn’t a big hit in my home so could it be substituted for zucchini perhaps? HI! Yes, zucchini would be great, but make sure to get rid of the extra moisture before adding it to the lasagna. Let me know if you have questions. I hope you love this! Thanks! I love cheesy pasta things!!! This looks great! And yes!!!! I was like a little kid watching GG this weekend!!! I have one more episode left! (i couldnt help myself) SO EXCITED!!!! They’re my favorite!! I’m so jealous!! haha! You should really just watch all the gilmore girls episodes now. Don’t let it get spoiled for you! Also, I made your crock pot chocolate pretzel/butterscotch bars and my husband has declared them the best thing I’ve ever made and he did not believe that I just threw everything in the crockpot. I know I need too!! Thats amazing!! I’m so happy you guys liked them and they were easy (: yay! 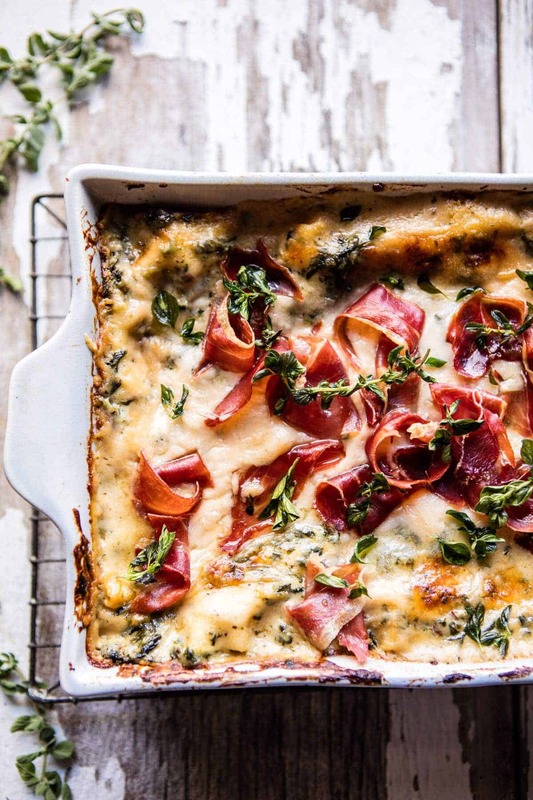 Love this spin on the classic lasagna! So good! ALL THE CHEESE!!!! this is one seriously boss pasta, I’m obsessed! Yes yes!! You know I love my cheese!! knew you’d liked it! Thanks Christine!! 2. Use either my own cured (11 months), smoked country ham slices OR my cured, smoked, Lonzino (like prosciutto). YES, sounds so so delicious!! Hope you love it!! One of my all time favorite comfort dishes, and always taken up a notch by you. This looks awesome! I want to dive into all that melty cheese!!!!! This looks amazing!!! I would love to make this for my family on Friday! I was wondering…..my husband and kiddos don’t like ricotta cheese is there anything I can replace it with? Thank you so much! I can’t wait to try this!!!! Hey Lindsay! You can’t really tell there is ricotta, it just adds creaminess. That said, you can certainly use any other cheese your family loves! Let me know if you have other questions. Hope you guys love this! Thanks! 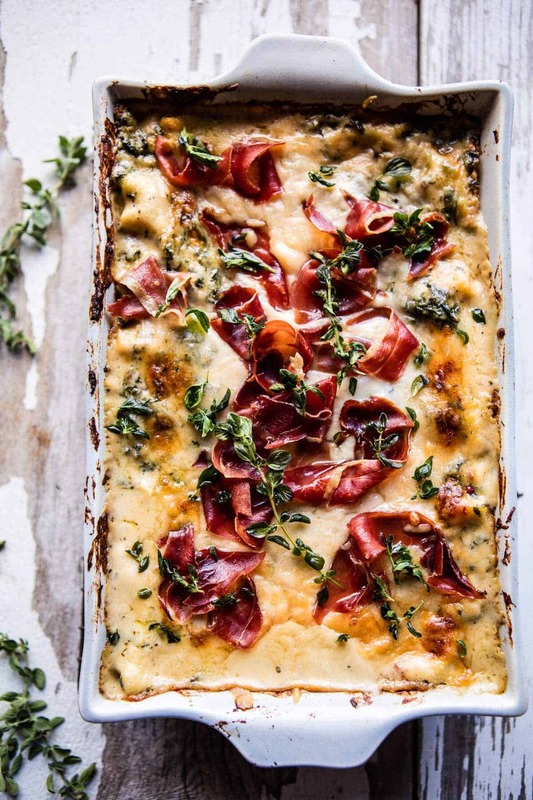 The prosciutto on top of that lasagna is EVERYTHING! Right!! So happy you like it!! Thanks Gina! When does your book come out?? All I want to do all weekend is read your recipes and look at your food photos! PS. I made the cranberry brie pull-apart bread last week, my guests were over the moon! AWE! THANK YOU! You literally just made my day!! The book will be out fall of 2017, so still a little ways away, but hopefully worth the wait! 🙂 Thanks again! Love the little change up to the classic lasagna Tieghan! My son Sean adores prosciutto, so I’ll need to make for him when he comes home to visit! with the other person who said you should just watch all the Episodes of Gilmore Girls!! I have a feeling if you don’t your going to find some things out that you might not want to know! haha! I know, I know! I might…it’s super tempting! LOL! AH!! I know i need to get on it! BAD! Thanks Cassandra! SO happy you like the Lasagna! Ohhhmygahhhd, this looks like heaven! Wow, Tieghan, this dish looks absolutely incredible. You can’t go wrong with cheese and prosciutto!!! Thanks Quin!! Hope you love it! Yes!! 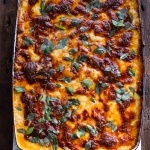 We all need cheesy lasagna today :). This looks perfect! Ah right! Its all i needed!! Thanks Laura! what a wonderfully different lasagna recipe! Will definitely opt for the prosciutto! thank you for this! Yes!! I think it makes the dish!! Hope you love it! TIEGS. You’re a genius. Like seriously please start a restaurant. Haha! That would be so fun… and hard!! Maybe one day!! Thanks a ton Sarah! Right?! Such comfort food heaven!! I will have to show you guys haha! Thanks so much Sheila!! This looks amazing! BTW, where did you find that beautiful baking dish? White lasagna is like a big plate of comfort!! Plus the husband isn’t a big fan of red sauces! 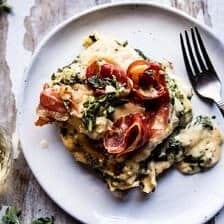 Proscuitto, creamy sauce, and spinach sound like the perfect comfort food! This would be so great on a snow day!! Its supposed to snow here next week, fingers crossed it does! Oh yes I hope it does! And I hope you love this dish! Thank you Maria! This is so beyond amazing. Love love cheese and this is just perfect. Thank you Asha! I am so glad you like this recipe! Holy Cow this looks amazing. And I have most of the ingredients on hand, score! Thanks for sharing! So perfect!! Hope you love it!! Sounds great but I’m not a fan of frozen spinach. Could I use fresh? HI! Yes, fresh will work great, just cook it down first. Let me know if you have questions. Thank you! Hi! So I’m doing a Lasagnapalooza this year (a different lasagna each month) and I’ve had this one on my Pinterest board for ages. This Sunday’s the day! Just wondering — if I wanted to use fresh spinach as well, how much would I buy and do I just saute in oil before adding it in? Thanks for your help. I’m so excited to try this! Nevermind, I just saw that you answered it below. Thanks! That sounds like such a blast! I hope you have a great time! I am glad you found the answer to your question and hope this turns out amazing for you! Thank you! Made this for dinner last night–HUGE hit! Many thanks for the recipe–it’s now going into my “Tried and True” Pinterest board. I think I’m also going to try this with the addition of maybe some…sliced tomatoes? Sliced creminis? A little nutmeg in the sauce? Delicious as is, but you could really add some things and make it your own. I love recipes like that! Wondering how well this dish travels. I’m hoping to put it together in morning and baking it in evening…and worry about lasagna..what’s your best advice? Cannot wait to try! Have you ever used gluten free noodles? Thanks Katie! I have never tried that, but I don’t see why it would not work. Let me know if you have questions and I hope you love this! Just wondering if I can make ahead and if so, what do I do?. This looks delicious! Not used to eating such rich foods, but I may have to try this. My question I have is, could I use fresh spinach instead of frozen? Also thinking about how I might toss in a few more veggies to make me feel better about indulging ? Hi! Yes, fresh spinach will be great. Just cook it before adding to the dish. Let me know if you have questions. Thank you! Can you make this the night before and bake the next day? Hey Heather! Yes, that works great! Let me know if you have questions. Thanks! Wow! This was simply amazing, and so easy to make! Earned rave reviews from my husband too. I split this into two 8×8 pans and froze one. 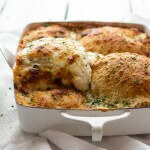 When I’m looking for decadent comfort, I know what’s for dinner!! Yay! So happy you guys liked it!! Thanks so much Kate!! This was so so so good! Even my super picky kids loved it! I would eat the whole thing if I could. 🙂 can’t wait for leftovers!! Thanks for the recipe! I have the same question as a couple of people above. I was hoping to put this together at home, then drive for a 1.5 hours for a weekend getaway and bake once we arrive that evening. At what point in the process do you think I should travel? Can I layer it and drive – or will it get messy? Should I bake a bit first and then reheat? Your advice would be much appreciated!! You are so kind to respond to all of us! Thank you so much. This is super helpful! Awh thanks Blake!! Hope you love it! This looks AMAZING. Does this reheat well? I am hoping to make this weekend and then have for lunches throughout the week! Hey Heather! Yes, it reheats great! 🙂 Let me know if you have other questions. hope you love this and Merry Christmas! Thanks! I made this last week- BIG SUCCESS! Even my special needs daughter who is the pickiest person on earth tried it & liked it. Wow- that is saying something! So far every recipe I’ve tried from you (6 & counting) has worked & been delicious enough to add to my rotation- so glad I found your blog- Thanks! I’m making this for a special extended family party this week, it’s that delicious. Oh my gosh yay! So happy you both liked it!! Thanks so much Liz!! Hope everyone enjoys it! Hello! I saw above that you can prepare this in advance and then bake. Can I refrigerate it once prepared before baking?? the order is really not very important. If you can keep track, layer according to the directions. Let me know if you have questions. Thank you! Do you think it would be ok to pre-assemble and bake the next day? I want to take it to a holiday pot luck but won’t have time to do everything the day of. Hey Kit! Yes, pre-assembling works great! Just let the lasagna sit on the counter to come to room temp while the oven preheats. Let me know if you have questions. Hope you love this! I tried this for our Christmas day meal yesterday. After letting it rest and serving it I realized I had left the proscuitto off (I was tired). We tasted it and it was good but I paid for that proscuitto and it was going on the lasagna. I took everyone’s servings back, fit them back in the pan, topped it with the torn proscuitto and popped it under the broiler. Oh. My. Goodness. This was amazing! The ham took the dish from, “that’s good” to “oh my gosh, can we keep eating this”. Thank you for this recipe. I’m a fan. Oh no! Sounds like it ended up working out, so happy you guys liked it! Thanks so much Lori! Agreed! I am thrilled you both loved this! Thank you! Making this over the weekend for a New Years party. Did you use fresh oregano on top and did you bake it on or just add after baking. Love the presentation! Thank you!! I sprinkled a little fresh oregano on top! It’s works great. Hope you love this! I have got bresaola. Can I add this instead of prosciutto? sure, that will be great! hi, any idea of the calorie content per slice. I am logging all my food and having this for dinner tonight! I hope you still love it Irene! Made this today with a couple additions. Added artichoke hearts into the ricotta mixture. I also saute pancetta with rosemary and thyme. Remove from pan and saute sliced mushrooms in pancetta grease and a tbsp of butter. Added this to the layers. Awesome! The additions sound amazing!! So happy you made it, thank you Ella! Hi Tighan! I really want to make this! If I sautéed fresh spinach instead of used frozen how much should I use? Thanks! I have made one of your amazing breakfasts every Christmas morning since 2015, I loved the Gingerbread Waffles! I’m excited to see something new and amazing for my family! Do you think I could substitute the noodles for thin eggplant strips? How would I keep it from getting too soggy? This is a great dish my kids ask me to.make this every year. I do make it a little different I add the prosciutto ham and also cooked shredded chicken in the layers. It’s a winner with my family! Thank you Lana! I am so happy you and your family like this recipe! what size of spinach packages? 8 ounces? Made this yesterday and it was really good. The prosciutto gives a nice salty touch to the richness of the cheese sauce. I made homemade ricotta using an instant pot recipe and a 16 oz. package of chopped spinach. Worked perfect. Will definitely make again. thanks. I am so glad you enjoyed this! Thank you Danita! I am so glad you both enjoyed this! Thank you Chelsea! What is that herb garnish on top, oregano? It looks great. Thanks, I am thinking of entering an Italian dish competition, seems like this would be nice but of course the first step is make it at home! Yes! I hope this turns out amazing for you, Linda! Thank you! May I ask where your lasagna dish is from? It’s so pretty! made this last night for a crew of ten! normally I would never serve a new recipe to guests but you’ve never done me wrong! followed the recipe exactly and it came out perfect. I served it with a side of asparagus in the cast iron pan. for dessert I did your ice cream banana bread from the cook book. was also a huge hit! thank you!!! Hi Kristen! I am really glad this turned out amazing for you and your guests! I hope you had a great night! Thank you! My step daughter is allergic to tomatoes and in searching the web I found your recipe. It was a big hit over the holidays. Now she and her husband are coming to visit to celebrate his birthday and he requested that I make this dish. Thank you, it’s delicious and simple to make. That is so great! I hope it turns out amazing Robin! Thank you! This looks incredible! I was wondering if it would just a well with fresh homemade lasagna noodles?? I can’t think of a reason why not but just wanting to make sure! Is it ok to make this the night before and store in fridge? Then take it out the following night to bake?